Lest We Forget events are being staged in Stonehaven and Aberdeen. A digital archive of artefacts, Lest We Forget, is being created, with all manner of family heirlooms being included. The project is being led by the Commonwealth War Graves Foundation in partnership with Oxford University. 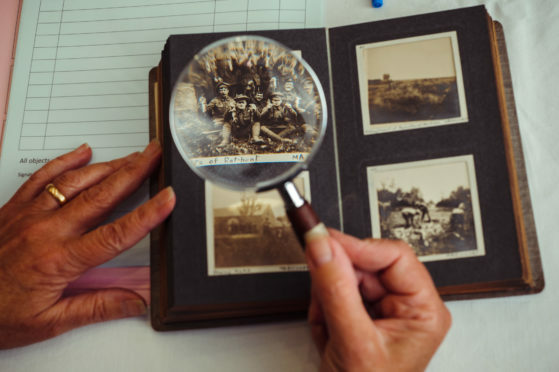 It is staging a series of events around the UK, encouraging people to bring along their family heirlooms, objects and stories relating to the Great War to be included in the archive. Digital collection days will take place at Mackie Academy in Stonehaven on Saturday February 23, from 10am to noon, and at the Gordon Highlanders Museum in Aberdeen on Wednesday February 27, from 10am to 4.30pm. Objects will be digitised and the stories written down. They will then be placed in an online archive as part of the national campaign. Members of the public have, however, been urged not to bring any weapons or potentially dangerous objects to the digital collection day. Trish Keppie, the CWGC’s public engagement coordinator for Scotland, said: “We’re delighted to have Lest We Forget collection days in Stonehaven and Aberdeen as we continue to seek out the touching and often heart-breaking stories of those whose lives were changed forever by the First World War. “Both events will give people a chance to bring along letters, medals, photos and other personal items from their attics that can help us to bring to life the human stories of the wartime generation. “Everything that comes through the door can be assessed and photographed to become part of our growing free-to-use digital archive, preserving these stories for the next generation. Organiser, Peter Bellarby, added: “Many of those who were involved in World War One kept diaries, including my grandfather, William Bellarby. “They show the anguish at leaving loved ones and family, not knowing whether they would ever see each other again. Many did not return and many lives were blighted. Backing for the project has come from the Heritage Lottery Fund. For more information, visit Lest We Forget’s website at lwf.web.ox.ac.uk.